The Canadian Human Rights Commission is calling for a full, public inquiry into the high number of missing and murdered Indigenous women after the horrific murder of a 15-year-old Aboriginal girl in Winnipeg. The commission says the murder of Tina Fontaine highlights the need for Canada to address the issue. 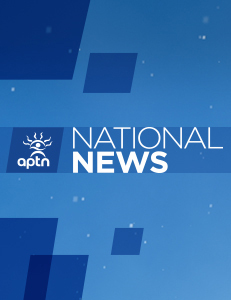 Langtry says the federal government must develop a national action plan to deal with a RCMP report, released in May, that found nearly 1,200 missing and murdered Indigenous women and girls since 1982. “This is not acceptable in a country like Canada,” Langtry said. Fontaine’s body was found Sunday in Winnipeg’s Red River. Her body was in a bag and police believe she was dead prior to entering the water. They are holding back on releasing her cause of death. She had been reported missing more than a week later and was in care of child welfare services at the time. The Harper government has refused to call an inquiry. “I am not sure who else besides the Conservative government doesn’twant a National Inquiry. First Nation leaders and the Premiers of the Provinces in Canada unanimously back this call and the United Nations has called on Canada to support an inquiry. Why are Harper and the Conservatives not listening?” said Ontario regional chief Stan Beardy in a statement. The RCMP report said Indigenous women make up 4.3 per cent of the Canadian population, yet account for 16 per cent of female homicides and 11.3 per cent of missing women. “Woman is the centre of the wheel of life. She is the heartbeat of the people. She is not just in the home, but she is the community, she is the Nation. The woman is the foundation on which Nations are built. She is the heart of her Nation. If that heart is weak the people are weak. If her heart is strong and her mind is clear then the Nation is strong and knows its purp…ose. The woman is the centre of everything.” — Art Solomon (Ojibwe), “Kesheyanakwan” (Fast Moving Cloud), Anishinaabe Elder. It is beyond just demanding an inquiry….this situation is beyond a National inquiry….we cannot continue to watch the number of murdered or missing Native women increase. Native people see what is happening….now the mainstream society should too. It was said that when the Europeans first came and ‘discovered’ North America that they had no eyes and no ears, since they didn’t see or hear. Maybe it is time to change that. Open up their eyes….and ears….